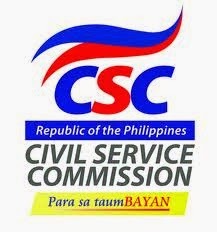 Just recently Civil Service Commission (CSC) released Career Service Exam Paper and Pencil Test(CSE-PPT) last April 06, 2014 originally published from its official website. Sources said that Civil Service Commission reported that there were 200,000 examiners who took the exam in 52 testing centers nationwide. Still, to pass the EXAM, you need to obtain general rating of 80%.